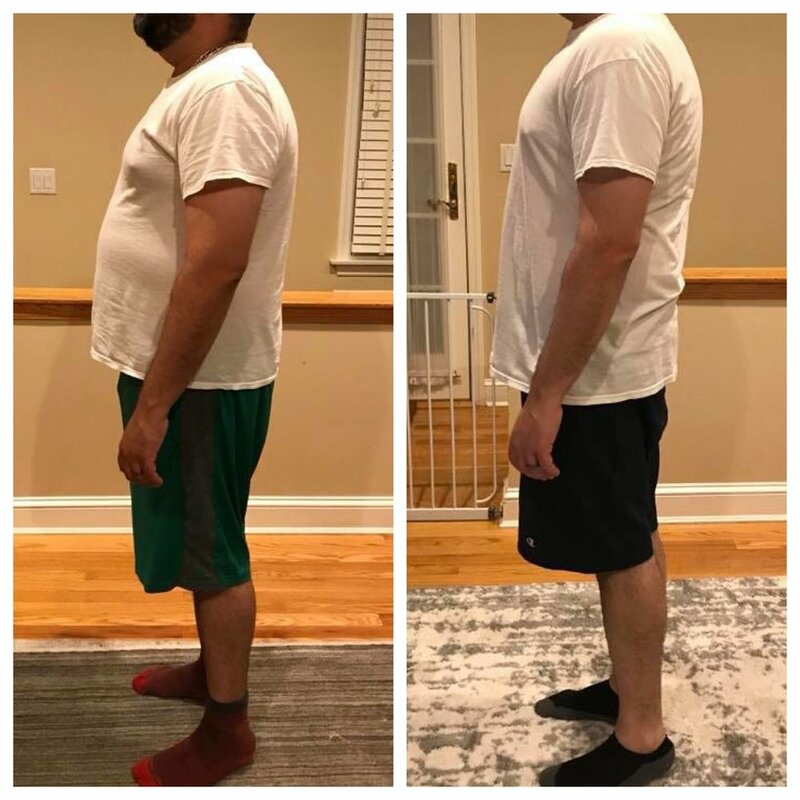 Constantly on-the-go, working long hours, and raising a young family all while making his health a priority and losing 25 pounds! That describes our Client of the Month, Frank Cherena. He needed a change in order to keep up with kids and manage his hectic schedule. He found SENS Fitness and a new outlook on weight loss and what it means to live a healthy lifestyle. Join me is congratulating Frank for his hard work! I have been slowly gaining weight over last couple of years since we had kids. Now that our kids are getting older I’ve been having a harder time keeping up with them. I was eating unhealthy and I needed to change that to set the right examples and make sure that I am there to watch them grow up. I saw a post of a friend on Facebook who is also having success with SENS and decided to give it a try. I like setting small tangible milestones rather than goals. Small attainable weight loss increments keep me motivated rather than large long distance far away goals. I also wanted to establish a nutrition plan that was sustainable and that can be integrated into my life. Work/life balance has always been a challenge for me. Adding kids into the mix just has made it that much tougher. I’m constantly on the go and used that as an excuse not to make time for proper fitness or nutrition. I’m still learning on how to optimize these elements and Jim and Karen are there to give me the guidance and encouragement I need. With constant support from the SENS team I am able to keep on track without losing sight of my targets. I’ve also been using fitness and nutrition trackers to track my progress and any setbacks. Having to log food and drink on night out with friends keeps me honest! More energy and increased fitness. I can sprint to the train in the morning without become too winded (and now I actually make the train). SENS provides enough freedom for me to live my life without being beholden to a diet. Unlike other diets that I’ve tried joining SENS has really added a heath and fitness component to my life without negatively affecting my day to day life. I’m also getting real time support when I need it. If I miss a short term goal Jim and Karen are there to steer me back on track with just the right amount of coaching. Add the community aspect of the SENS FB group and it’s been a great positive experience that I’m sharing with a whole squad.